A Redi Niche® recessed shower niche provides the convenience of a shower rack without the clutter ... no more shower caddy to slide off your shower head or soap dishes sticking out from your bathtub walls, and no bulky shower shelves taking up space! Redi Niche® shower shelves come in over 30 models including single, double, triple, and quadruple combinations with both vertical and horizontal shelf orientations. Whether it's for shampoo and conditioner, soap, shaver, or all of the above, there is a Redi Niche® shower recess to work in your bathroom, fit your needs, and eliminate the need for awkward, space-hungry shower fixtures. Install a Redi Niche® recessed shelf by your spa or bathtub for personal care or decorative items. Use it in the kitchen for your cooking utensils. Dress up your patio or pool area with a tiled recess to hold your clock or thermometer. Wherever you want a waterproof, attractive shelf space, there is a Redi Niche® brand model that will work for you! Tile Ready® brand one-piece shower pans offer the industry's most exciting and innovative lines of Ready-to-Tile™ shower pans including Redi Base®, Redi Trench®, WonderFall Trench™. 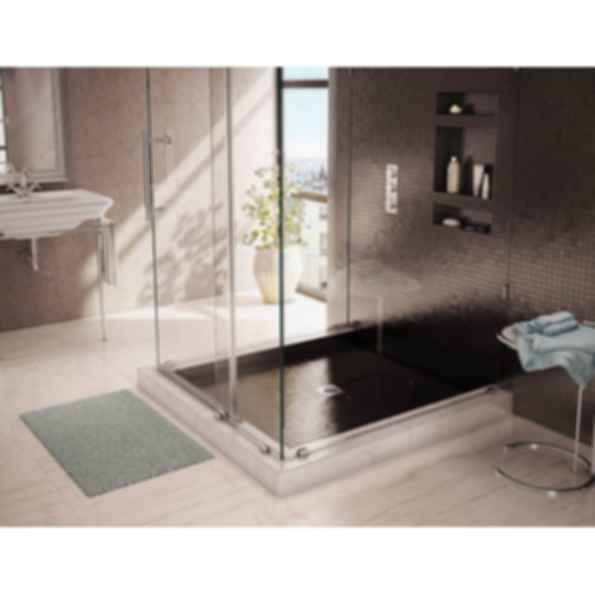 Wonder Drain®, Bathtub Replacement™, Redi Neo™, and Redi Free™ Barrier Free & ADA Shower Pans. Redi Shower™ Kits take the hassle out of measuring and designing your dream shower by including the sized-to-fit-together elements. 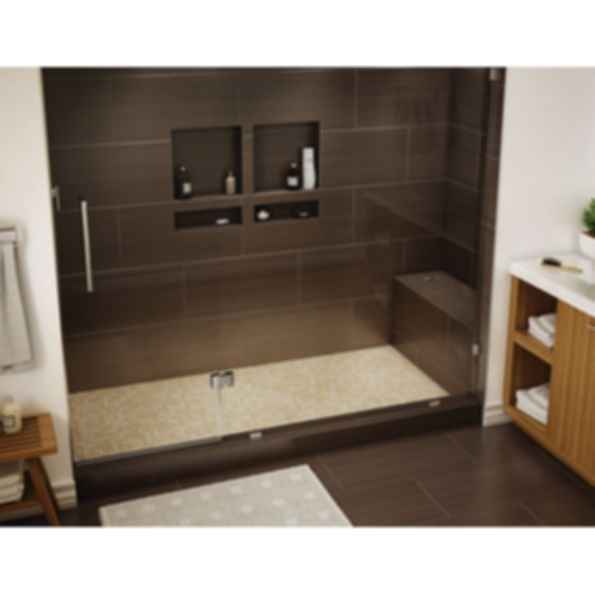 For example, Base'N Bench ™ Shower Kits include a shower pan and shower bench designed to fit together. Redi Bench® shower seats offer a safe and beautiful place to sit in the shower and there is a model designed to fit every shower pan we manufacture. Redi Ledge® shaving steps offer a practical and attractive way to shave your legs easily and safely in the shower. Two distinct models will appeal to your specific design preference. 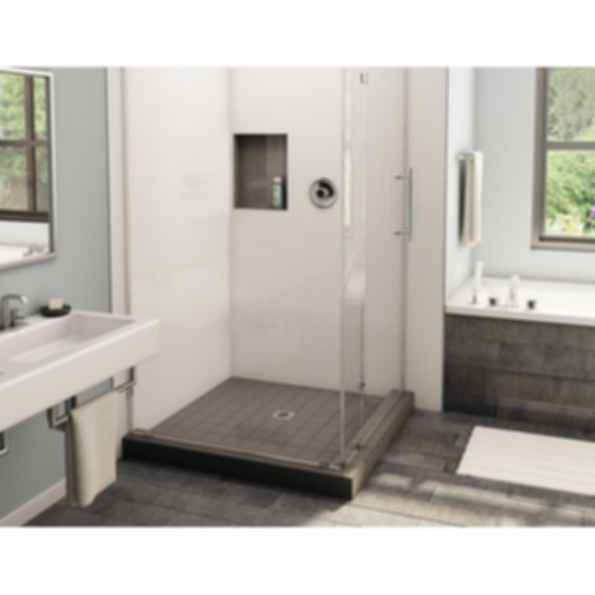 Redi Drain® designer drain plates are available in an extensive array of models and finishes to complement your hardware choices in any shower designs. Tile RediÂ® is the inventor of Tile ReadyÂ® brand shower products. We offer the industry's largest selection of Ready-to-Tileâ„¢ products including: one-piece shower pans in a variety of models, shower shelves, shower seats, shaving steps, and decorative shelf kits. Tile RediÂ® is known for being innovative and for our focus on the marriage of design and function. Our products enable you to have both the quality installation and designer look you want without breaking your budget. 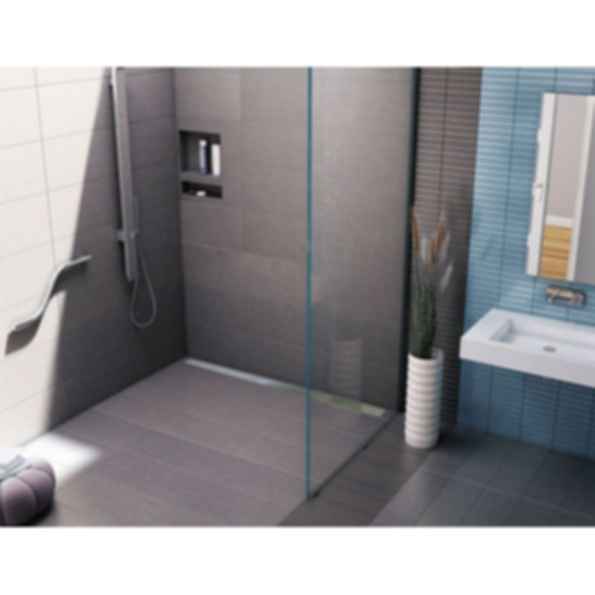 Choose a Tile ReadyÂ® product for Tile RediÂ® peace of mind!